hd00:08She sets up the camera before shooting. 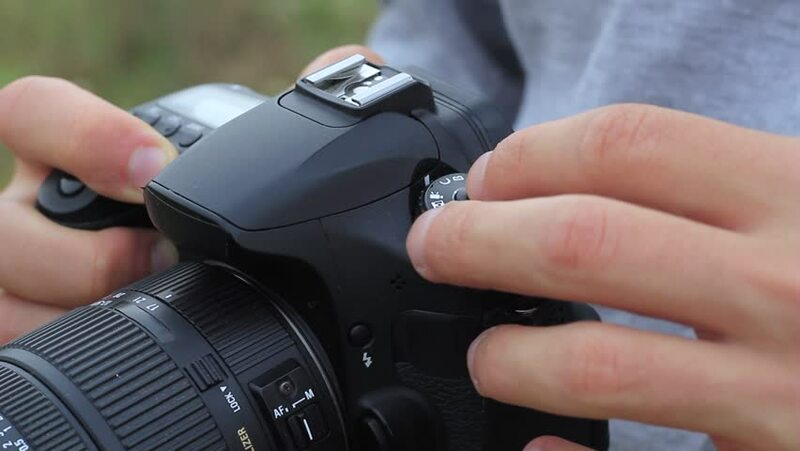 Man turns the wheels of the camera's settings and presses the button on the rear panel. Woman turns on and off camera. She pushes the camera's built-in flash.